Did The Hot Olympian With No Legs Kill His GF? Slow News Day keeps our headlines REAL. 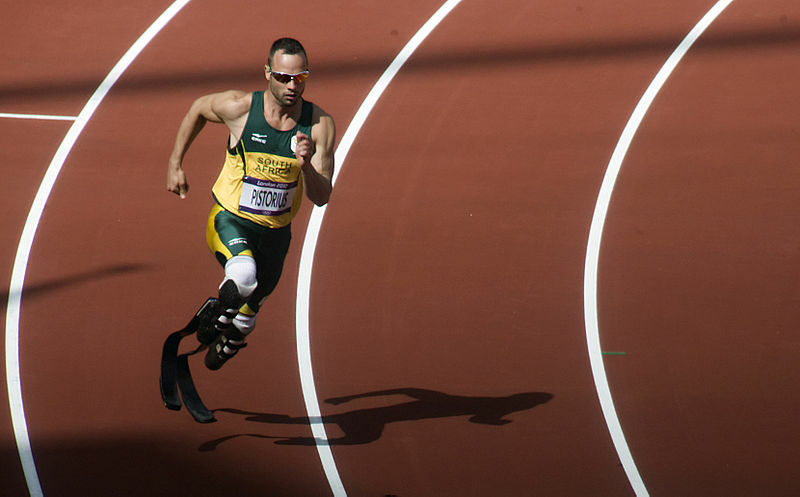 NBC News has an article about South African legless Olympian Oscar Pistorious, who is on trial for allegedly killing his girlfriend, Reeva Steenkamp. Oscar claims he thought there was a burglar in the bathroom (instead of Reeva peeing) so he shot bullets through the door. The prosecution claims Oscar and his girlfriend were in a fight, and he killed her due to his existing rage issues. I figured I should feign offense that Eve called them “stumps” but apparently, that is the socially acceptable term for… stumps. Even NBC uses it. I am inclined to think he killed her on purpose, until you factor in the fact that he didn’t have his prosthetics on, which would make killing someone way more difficult (not that I have any experience with this.) Pistorious had a temper, he was angry Reeva was friendly with an ex-boyfriend, he’s the kind of guy who admits to shooting before looking… I’d vote him guilty. But how did he do it on the stumps?